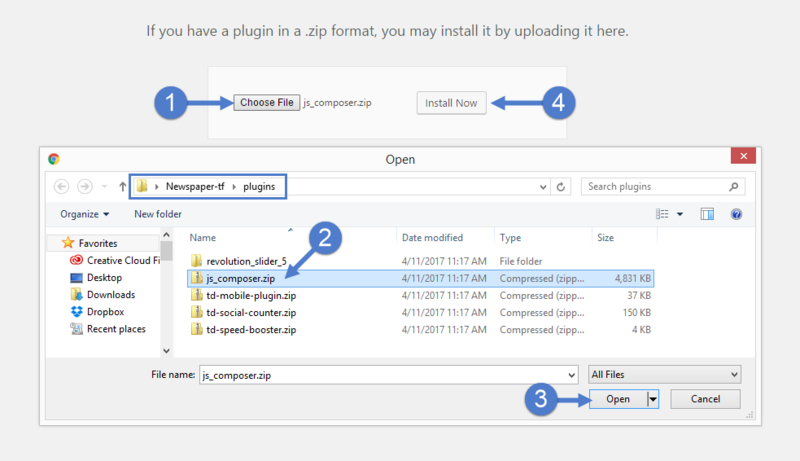 Visual composer is an option plugin you can use together with our theme to create content for pages. Important note: When you are creating a new page or new sections please use only these 3 blue highlighted columns. This ensures that your blocks will look and work perfectly. Visual Composer works properly only on Pages and will help you to create amazing and unique layouts using our predefined templates or using your own creativity. When you create a New Page you can easily select one of the predefined layouts depending on your needs. You can create your own layouts starting by adding columns with blocks on the page, or customizing our predefined layouts with news blocks. 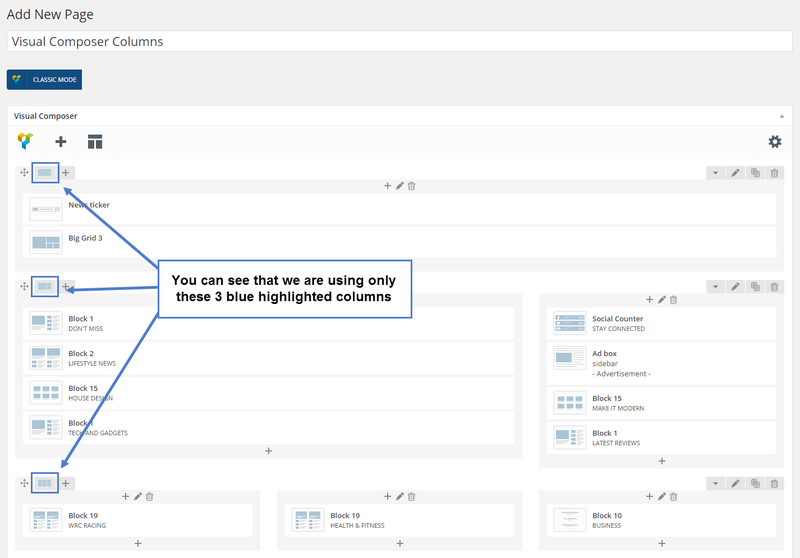 Notice: Use only those 3 blue highlighted columns when you add blocks on the page. Select the block that you want to use from the pop-up window. You can save the new layout so you can reuse it later. 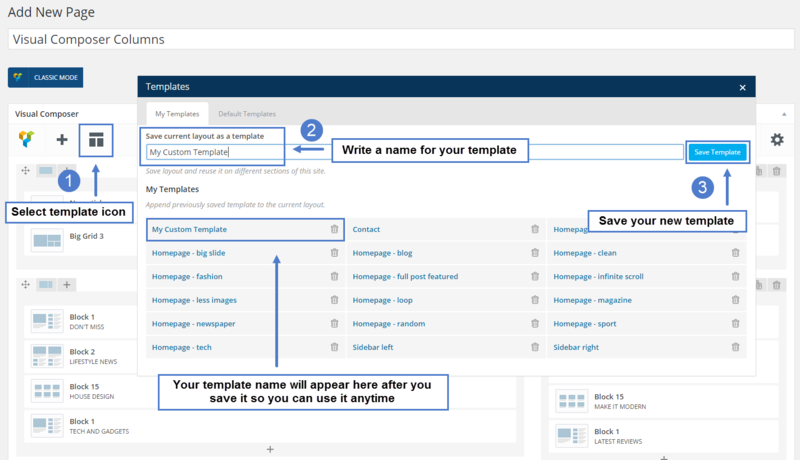 Now you can use the created template on a new page, by opening this window again and selecting your template form the list.